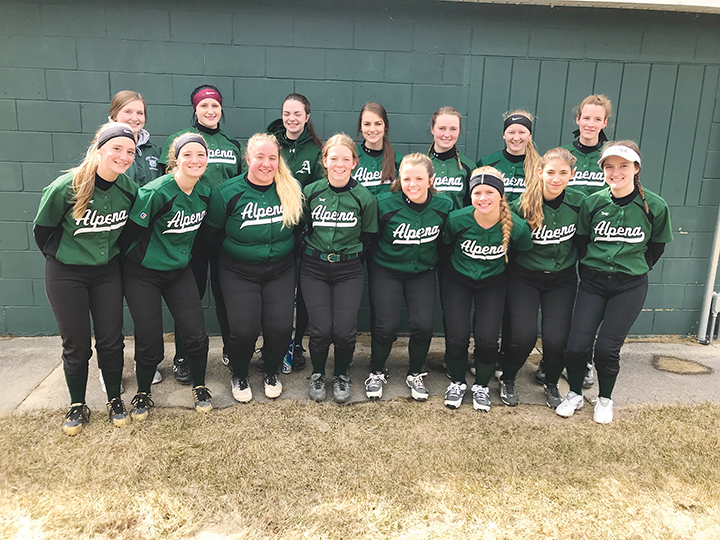 News Photo by Jonny Zawacki The 2019 Alpena High softball team from left to right is: back: Allie DeRocher, Jade Schultz, Emma Fraser, Sydney Chojnacki, Maddy Saddler, Nikita Cordes and Lilly Lewis; front: Abbie Funk, Allie Funk, Meghan Roznowski, Kali Spomer, Corine Donajkowski, Dayna LaBell, Aubree Sheldon and Riley Alexander. It’s word that describes the Alpena High softball program. For well over a decade, Alpena has been a consistent winner on the field. The Wildcats finished last season with a remarkable run that resulted in their eighth straight Big Big North Conference title, their first regional championship since 2008 and a run to the Division 1 quarterfinals. After the quarterfinal loss, Alpena coach Paul Marwede gathered his team and reminisced on the magical year it was, but also told his players they had nothing to be ashamed of and to remember the feeling of being there and the hard work it took. With eight returning players, the expectations are high for the Wildcats as they look to follow up on last season’s success. 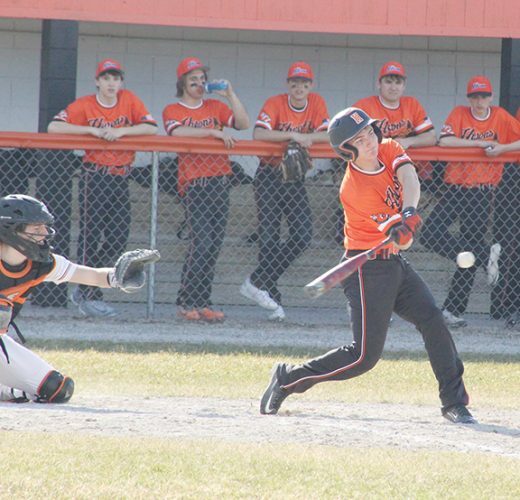 Alpena has just five seniors on this year’s team, but the Wildcats will be led by four-year varsity starter Emma Fraser, who has already signed on to play softball at Alma College in the Fall. 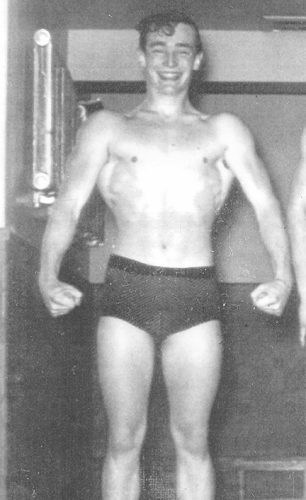 Fraser is the table setter for a potent Alpena lineup and holds a few school records. She is also within striking distance of several more records. Fraser will play third base and pitch once again for the Wildcats. Junior Jade Schultz is back for her third season on the varsity team and will once again spend much of her time in the circle pitching and hitting in the middle of the lineup. Juniors Abbie and Allie Funk will return for their third season and each will be back in an everyday role. 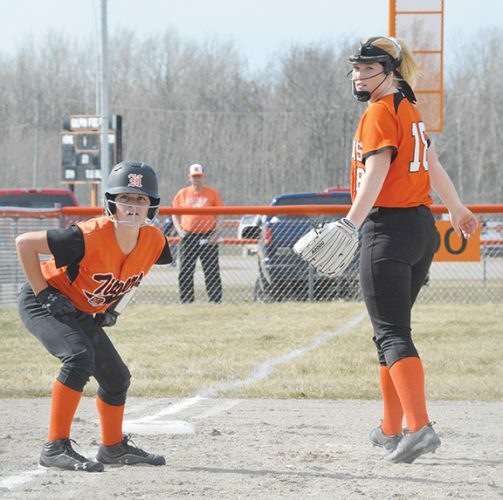 Abbie Funk will pitch and play infield positions, while Allie Funk will catch and spend time in the outfield. The Wildcats have plenty of pitching. Along with Schultz, Fraser and Funk, seniors Lilly Lewis and Kali Spomer may also see time in the circle. The rest of the senior class is made up of Rachel McDonald, Dayna LaBell and Riley Alexander and all of them will play a huge leadership role. Juniors Aubree Sheldon, Maddy Saddler, Meghan Roznowski and Nikita Cordes will provide plenty of versatility with the ability to play both infield and outfield positions and three sophomores, Sydney Chojnacki, Corine Donajkowski and Allie DeRocher make up the rest of a deep and talented Wildcat softball team.